Call a contractor you can trust. After a storm, there may be a lot of contractors competing for your attention. Make sure you choose a contractor you can trust — such as an Owens Corning™ Platinum Preferred Contractor — to assess your damage, provide an estimate and replace your roof using proven products. If your roof sustained storm damages, request a quote. Someone will contact you shortly to discuss your damages and provide you with a quote. Thank you for contacting Neighborhood Roofing. We will be in touch about your storm damage roof estimate shortly. With so many contractors competing for your business, how can you know who to trust? First, you need a contractor that is licensed, insured and can offer a strong warranty that will help protect your investment for years to come. You should also be able to count on them to accurately assess and estimate your damage and to provide quality craftsmanship using proven materials. If your roof sustained storm damage, contact Neighborhood Roofing today. Discover the confidence that comes with choosing the right contractor. 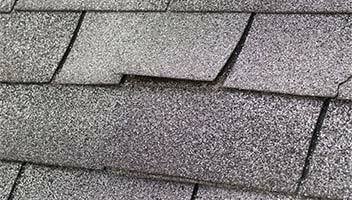 We will work with your insurance company to make the process easy and ensure your roof gets repaired right!